Argh, I've been sick today. I never get sick. I have about 260 sick days accrued at work because I never use them! My son bought home some sort of lurgy from school and he was home sick too. At least that is where we think we got it from. Nothing like having a whole day at home and just spending it curled up and feeling lousy, what I waste of a beautiful 30 degree day that I could have been painting my nails. I'm feeling much better tonight, but the poor little guy is still throwing up anything he eats. Anyway, lets move away from that image, and look at the nails! Last week when I was preparing my mani for the 40 Great Nail Art ideas challenge, I knew I was to be doing a black and white design but I had a complete brain fart and forgot that I was also suppose to combine that with a technique. 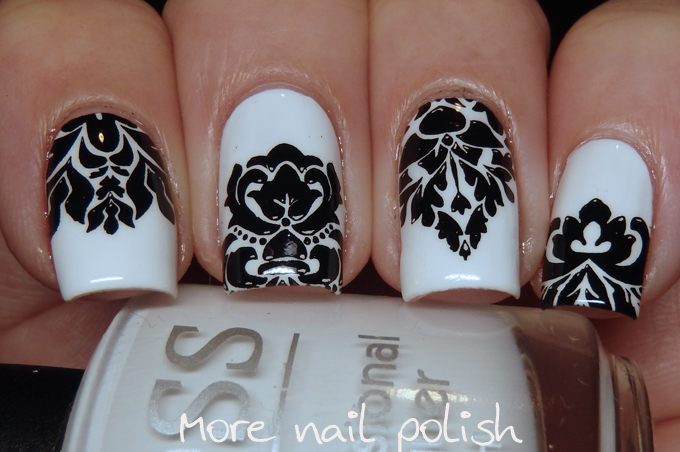 That is why I created this black and white mani, stamped with Moyou Fashionista 07 plate. The white polish is JOSS Will Not and I stamped with Mundo de Unas black. 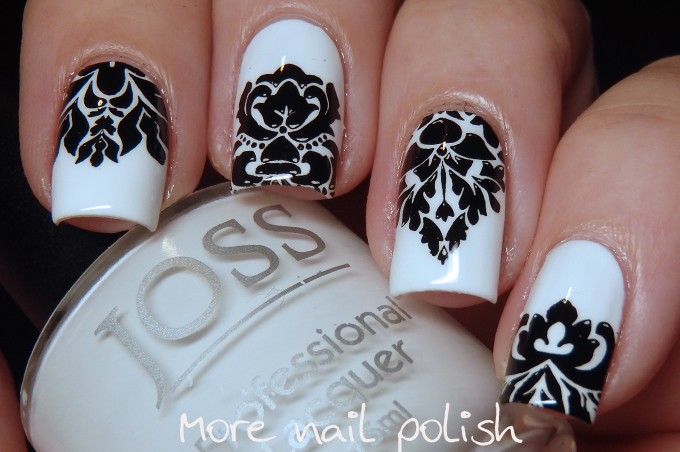 I really love how classic this black and white stamping looks, and it is exactly like a card I received recently. I wish I had remembered to take a photo with the card and my nails. They are so elegant and classy! Those are so gorgeous! Love the pattern, came out so crisp and perfect! Awesome manicure! 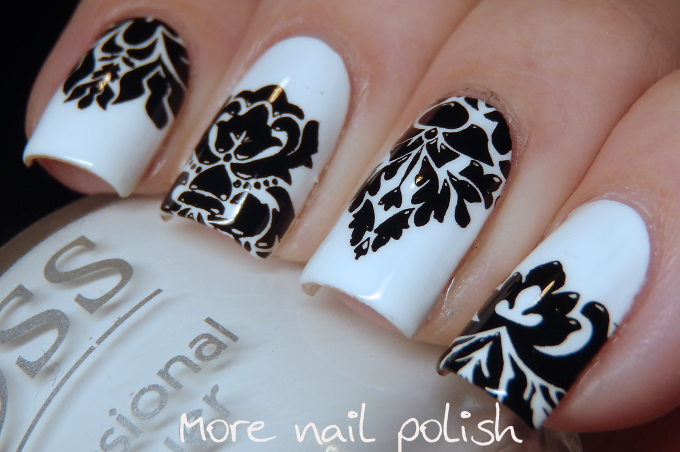 Black and white designs are my favourites!